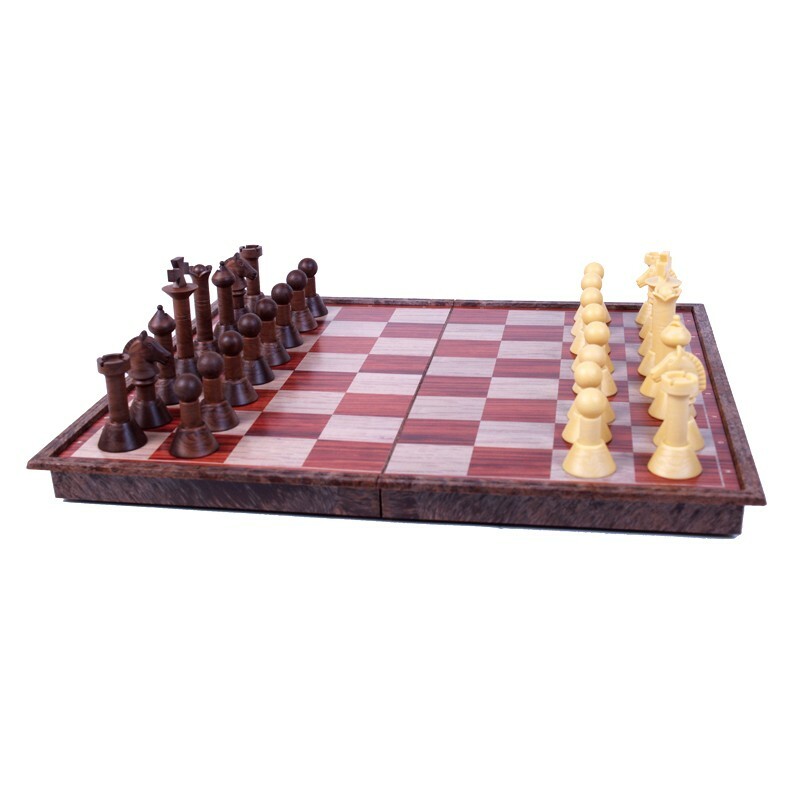 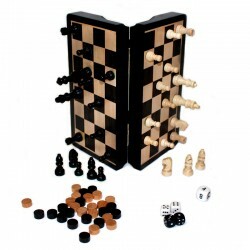 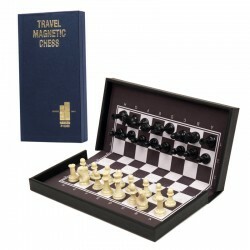 Travel magnetic chess set with wood-grain plastic chessmen. 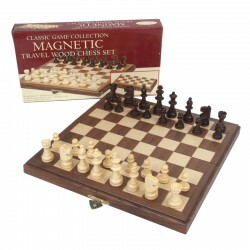 Features a 2 ½” king and a 12 ½” x 11” folding magnetic play-ing board with storage. 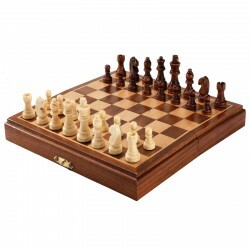 Dimensions closed 11” x 6 ¼” x 1 ¾”.